I love my studio…1800 square feet, and there is no where I can stand in it without seeing the river. Even though there are rooms for different tasks; the sewing studio, the dye studio, the mixed media studio, they all have lots of interior windows so I can enjoy a great view from anywhere. And of course, I fill it up with lots of stuff that I love; the quirkier the better! These are all from the sewing studio. Sometimes the work in the studio has nothing to do with actual construction. Because I use reclaimed materials and because I have to carry a huge inventory of raw materials for what I do, a lot of time is spent organizing. And I probably should spend even more time on it than I do. So today I got bogged down with sorting buttons. Actually, bogged down is not the right word: diverted, perhaps. 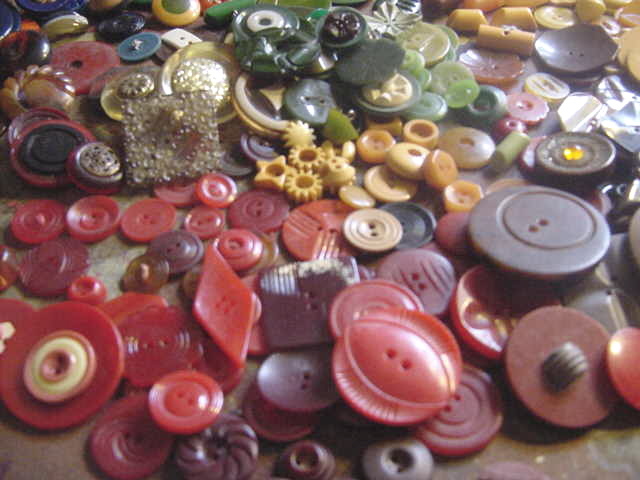 Because there are very few things more fun than playing with buttons…as long as they were made before 1950. 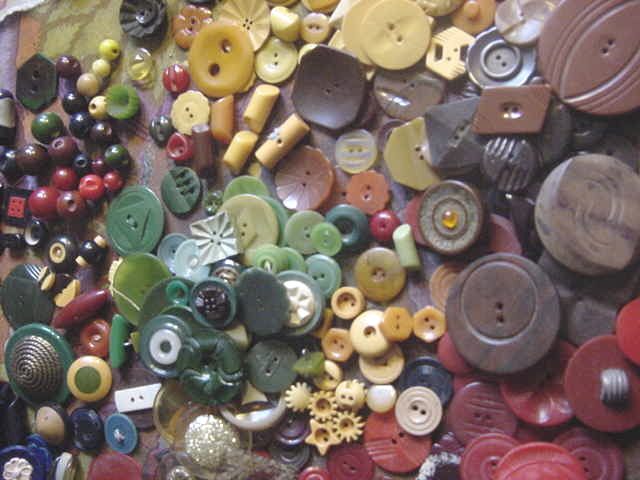 Buttons used to be designed. They were beautiful. Not the ugly small plastic discs that you get today. UGH. Why bother making something fabulous in order to put an ugly button on it? Which is why I have to spend so much time sorting buttons. 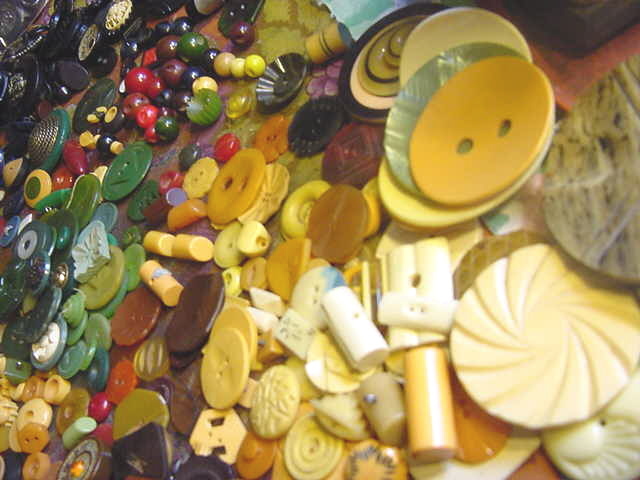 Bakelite is an early plastic that has a wonderful magical quality to it; very desirable and now getting very hard to find. Buttons! Proof of the truth that God is in the details.